Deep (2017) – What's New on Netflix Canada Today! In 2100, when humanity has abandoned the earth, a colony of extravagant creatures still thrives in the deepest abyss of the ocean. 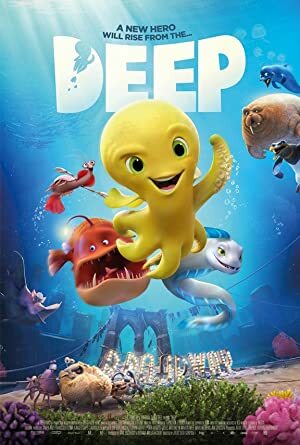 Deep, an adventurous “dumbo” octopus and the last one of his kind lives there with his two unconditional friends: Evo, a nerdy and clumsy angler fish, and Alice, a neurotic deep-sea shrimp. When an accident destroys their home, the guardian of the abyss, The Kraken, will send Deep and his friends on a perilous journey to find a new home. In their mission, they will be joined by Maura -a voracious moray eel- and together they will travel to amazing places like the submerged city of New York, the Titanic or the Arctic, facing formidable enemies and hilarious situations. Will they be able to bring the oceans back to their former glory?